Open the Site Manager and click on the “Create a New Site” button. This will create a new Cargo site which is automatically added to your account. 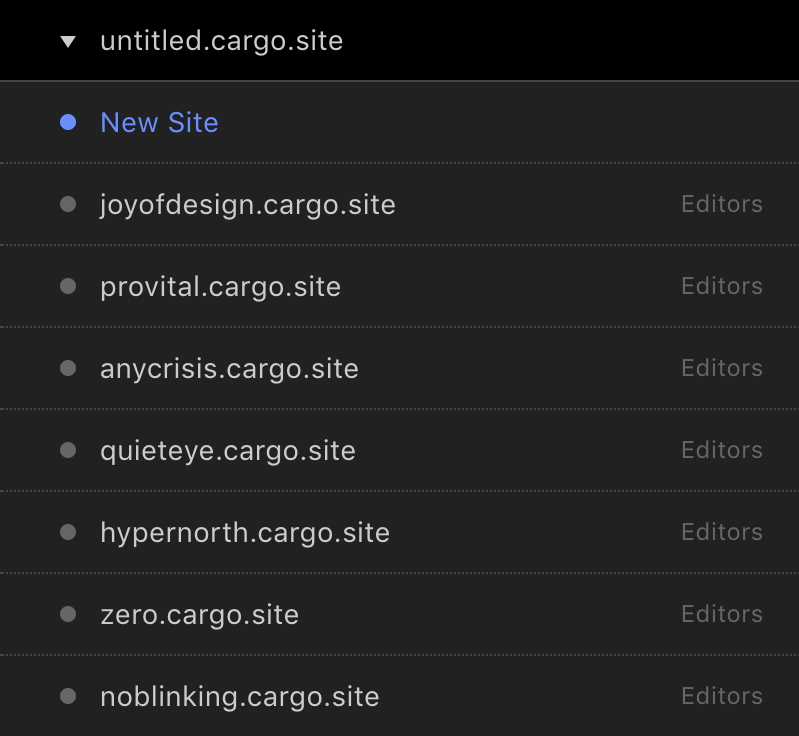 You can give someone else access to a Cargo site under your account by making them an Editor. Click on the “Editors” link in the Site Manager and send them an “Editor invite.” This will send the recipient an email with instructions on how to add the Cargo site to their account. If they’re not yet a Cargo member, they will be prompted to create a username and password to gain access to the Cargo site. Adding an Editor grants them full access privileges to the site. Ask the site’s owner to send you an Editor Invite.